How can I fit an international experience into my two year college diploma? ASK: Ask staff at your college about international learning opportunities. Find out if there is an international office at your college (sometimes this is a best kept secret). If your college doesn’t have an international office, bring your interest to your student association and academic department in professional way. Students are the reason colleges exist; your college should be interested to hear what you have to say. INTERNATIONAL PROJECTS: At NSCC, we offer international applied learning projects for students to participate in. These are often led by NSCC faculty or partner institutions and can be approved for work term, research project, or service learning equivalency. If your college doesn’t recommend projects like this, you may be able to find your own through online resources that your campus or local library can suggest. Make sure you get approval from your academic program well in advance! SUMMER SCHOOLS: Some of NSCC’s exchange partners offer 3 to 4 week summer schools focused on a particular subject or topic, like Doing Business in Europe, Entrepreneurship in Scotland, Spanish and Service Learning in Ecuador. They usually blend classroom learning with hands-on activities along with cultural and language immersion. Students can often transfer the credit towards their diploma. TALK ABOUT IT: Like all learning, international learning is only valuable if you can articulate it. 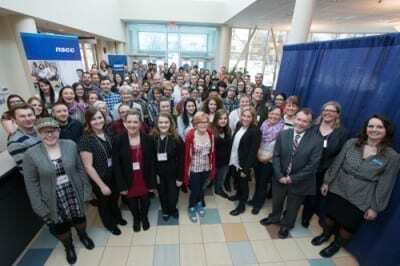 At NSCC all students completing an international program have a blog assignment where they reflect on their learning and this can often be helpful when thinking about how to frame that learning to future employers. These blogs and the student videos below from Grenada and Tanzania will help future students like you who want to know what the program is like. INTERNATIONAL EXPERIENCE AT HOME: If you can’t study overseas, you can still gain international skills and experience at home. Studying another language, service learning or work term projects with immigrant settlement associations, and internationally themed courses are all good ideas. Some of these options may be available through your college, or through connecting to your community. How you articulate and apply your international learning is the important part.